Who Is Beating You at Wordament? Robots!! Damn Robots!!! Do you want to know who is beating you at Wordament? Robots are!! Damn Robots!!! Based on a combination of a CNC micro-milling machine using 3 salvaged DVD drive stepper motors and platforms, mounted on a PVC frame run by MS Excel (calculations) & GRBL shield (stepper control). After a few weekends of work I’ve got the bot running through the list of 3 letter words with around 85-90% accuracy and an average rank of 58%. I currently have the calculations ready for 4-6 letter words (gets pretty calculation intense from there). I need a Wordament robot of my own…. The hit Windows Phone 7 game- now with Xbox LIVE! Come play the game that thousands are playing, earn achievements and compete against friends and frenemies alike on the Leaderboards. Keep your friends close, but your enemies closer! Tap names in the results list to add them to your personal list of Frenemies™, which is shown at the end of every game. Your Xbox LIVE friends will be automatically added! 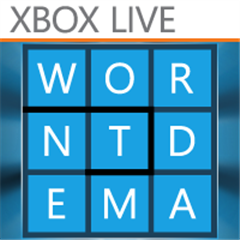 Wordament features unique, highly playable games. Every board is guaranteed to have over 100 possible words, and every tile is playable. Our dictionary is tuned to help you find the most common words you missed. We also have themed games, like Digrams, where we introduce a simple, but fun secondary goal of using a two-letter tile in as many words as possible. User interface available in English, Spanish, French, Italian, Dutch and Swedish. Game boards remain in English. Watch our blog for details on new languages coming soon. How you play and how you win is up to you!